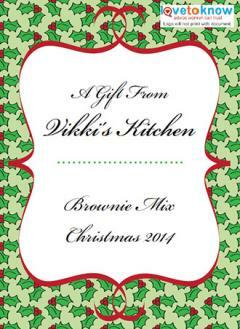 Homemade Christmas food gifts are an ideal gift solution for those on your list who have everything they need. A homemade food item is always welcomed and appreciated, especially by those who have busy lives. Offer tasty sweets, desserts, breads, complete casseroles, or snacks, depending on your recipe arsenal and number of gifts on your list. Let your tastebuds guide you in your choices of recipes and create two gifts in one by giving it with a keepsake container. Tape a free customizable and printable label to your food gifts like the one above or to the right using Adobe and your gifts are sure to be welcomed with open arms and empty stomachs! Kids and adults of all ages love Christmas cookies and candy. This kind of food gift is always a big hit. Click to use the food gift label. Whip up some easy fudge to include in a mix of different fudges or in a mix of Christmas candies like toffee and peppermints. 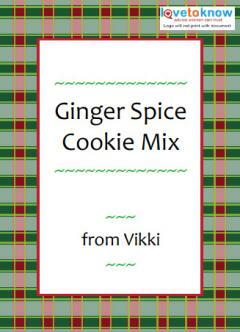 If you prefer, bake several kinds of Christmas cookies, like candy cane cookies and ginger snaps. Add a gourmet touch with some coffee spice cookies. Classics like sugar cookies and shortbread cookies are always good to include, too. Consider a themed food gift, such as Christmas Italian cookies, putting cenci, Italian anise, belfanini, and pine nut cookies into one container. Another spin on the theme is to use the same flavor for all your goodies; the peanut butter lover might enjoy some peanut butter cookies and truffles with peanut butter ganache. Plate some festive Champagne Christmas truffles. A striped glass candy dish with lid that's mouth-blown and hand-painted will look lovely long after the treats are eaten. A retro-style Snowman cookie jar that's hand-painted will make your cookies all the more special. A ceramic Santa plate is perfect for passing along any of your candies or cookies. Create your favorite holiday cake and gift it with a beautiful cake pedestal and dome cover. Candy cane cake - The minty flavor and red and white coloring make this an instant favorite. 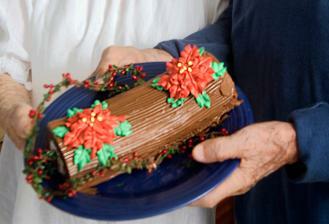 Yule log - The Yule log is a traditional rolled cake with a few festive decorations. Red velvet - The red layers are cheerful for the holidays. Dailyware's glass 6-in-1 footed cake dome is not only a domed cake pedestal and cake plate, but also a punch bowl, covered crudité with dip server, hors d'oeuvres plate with dip bowl, and salad bowl with room for vegetables underneath. With modern bread machines, it's easier than ever to create delicious artisan breads, or you can bake your favorite recipe. Create a memorable using your favorite recipe such as banana nut, coffee bread, or low calorie whole wheat bread. Consider making a rustic old style bread, too. Give an enamel bread bin with your bread that can be used year-round. Give a stainless steel bread box with rollback lid with the homemade bread. 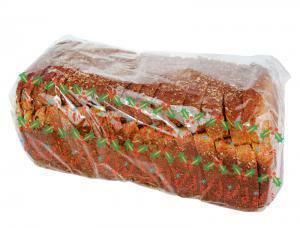 Wrap the bread in cellophane on a 12" x 5" wooden bread board with knife slot. If your list includes busy working couples or parents, consider giving food gifts everyone will enjoy. Try preparing a week's worth of frozen casseroles using some of your favorite casserole recipes to help them spend more time together as a family and less time slaving away in the be kitchen. 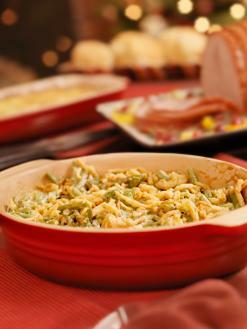 Be sure to include casseroles the kids will love, such as hamburger mashed potato casserole and turkey casseroles. Make the gift even more appealing by including paper plates, plastic cups and plastic silverware to eliminate the need for after dinner cleanup! If casseroles aren't your thing, then focus on creating some family snacks that you can place in large metal or plastic tubs. Popcorn is always a hit. You can pre-pop several bags and then create a basket to include individual microwave popcorn. Other snacks great for family movie night include chocolate and peanut butter cereal party mix or Chex party mix. Give the snacks in festive holiday containers. Decide what to give. This might include homemade bread, cookies, jam, homemade Christmas jar mixes for cookies or soup, or even frozen casseroles - whatever items you know the recipient would enjoy. 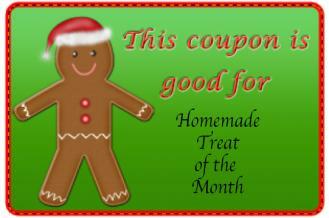 Using free Christmas clip art and your computer's word processing or graphics program, make up a certificate that entitles the recipient to one year of homemade food gifts. Set a specific delivery day, such as the first day of the month. Wrap each delivery, starting with Christmas, in pretty cellophane tied with a ribbon bow. Include a copy of the recipe for the recipient. 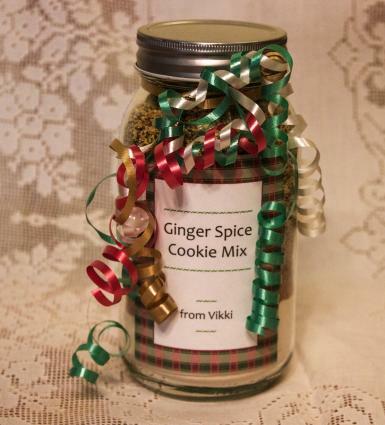 Any homemade gift is a gift from the heart and sure to please the recipient. Be sure that you know if the person has any food allergies, strong dislikes, or other food sensitives. Finding out what is the person's favorite foods will make your gift more endearing.